How to Recycle Your Drum Cartridge | TonerGreen - Eco-Friendly Toners from the U.S.
A drum cartridge is basically the partner of laser toner cartridges since it's the printer part that's responsible for transferring the toner to the paper when printing. Like any other printer supply that has been fully consumed or used, you may just realize that it's time for you to throw away your laser drum cartridge. But how about recycling it instead of dumping it in the trash? First, check on your printer supply store if they allow donations of laser toner cartridges and drum units. 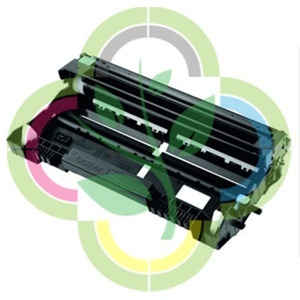 There are some who accept cartridges, and use them to produce remanufactured toner cartridges, which is also another way you can put your old drum unit to good use. Using remanufactured toners is actually a form of recycling your toner or drum unit since these printer supplies are already using recycled parts. Not only that, you get to have the same high quality printing that OEMs or original equipment manufacturer cartridges are offering since third party supplies are inspected, cleaned, refilled, and tested to ensure its performance. You get more savings, great prints, and save nature all at the same time. Doing at least one of the suggested tips above can put your old drum units to greater use. Still, if you go for remanufactured printer supplies, you are cutting your printing costs by up to 70% while still maintaining your printing needs. So go ahead and save on your printer cartridges since you are not just doing this for your printing but for the environment as well.